Rick Jelinek is Executive Vice President of Integration for CVS Health. Jelinek is responsible for leading the integration efforts related to the CVS Health and Aetna transaction. His primary focus is working across the newly created enterprise to achieve deal goals, helping to drive profitable growth and participating in transforming the health care experience for consumers. 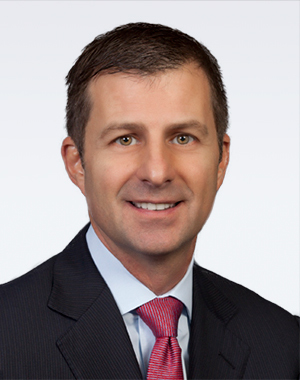 Previously, Jelinek was Executive Vice President of Enterprise Strategy at Aetna where he was responsible for leading critical enterprise and customer and business initiatives that advanced Aetna’s strategy. Jelinek was also the Head of Markets at Aetna, where he connected all product and health service strategies at the local market level and oversaw the company’s national network organization. Jelinek is a member of the Executive Leadership Team, the senior governing body of the company. Jelinek has broad healthcare experience, serving in senior roles with payors and providers. He also spent time at Advent International on the private equity side of the industry. Jelinek was at United Health for 19 years, serving in a variety of executive leadership roles including CEO of OptumHealth. Jelinek is a member of the Young Presidents’ Organization (YPO) and a founding advisory board member for the Griffith Leadership Center at the University of Michigan School of Public Health. He currently is a member of the board of directors of HealthEdge and previously served on the board of directors of Redbrick Health, Sutter Health, the Minnesota Children’s Museum and Cotiviti. Jelinek holds a master’s degree in health services administration and an MBA from the University of Michigan, as well as a bachelor’s degree in business administration from the University of Southern California.